Ashland Veterinary Hostpital - the first veterinary hospital in Ashland, and continues to offer the best veterinary care available in Southern Oregon. 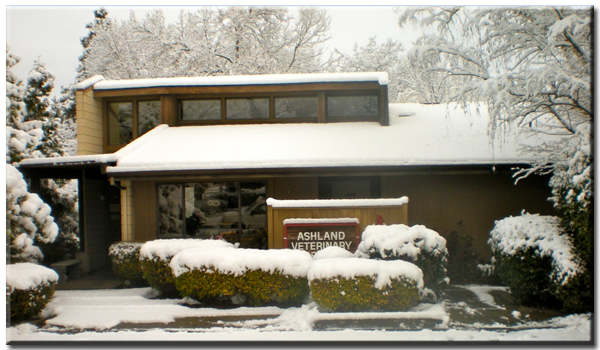 Ashland Veterinary Hospital was the first veterinary hospital in Ashland, and continues to offer the best veterinary care available. We provide free new pet exams, in-town emergency service for our clients, and house calls, as well as full medical and surgical services and boarding. Dr. Tesluk is a graduate of the prestigious UC Davis veterinary school, and he treats each of his patients as if they were members of his own family.